long_descriptionIs there anyone who does not like pizza? Didn't think so. 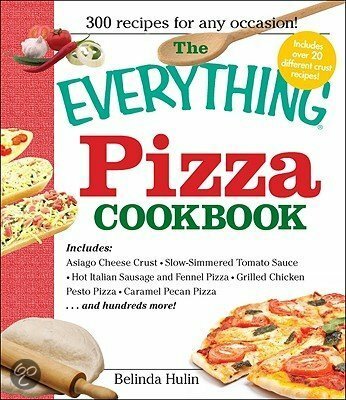 The Everything[registered] Pizza Cookbook is an appetizing collection of 300 recipes, including: Sweet Dough Pizza Crust; Pesto Sauce for Thin-Crust Pizza; Fire-Baked Six-Cheese Pizza; Chopped Salad Pizza; Clams Marinara Pizza; Wild Boar Barbecue Pizza; and Triple-Chocolate Pizza. Beginning with the history of pizza and its origin in Naples, Italy, The Everything[registered] Pizza Cookbook slices up everything aspiring pizza chefs want to know about the correct equipment and the freshest ingredients needed to make heavenly pizzas from scratch. Author Belinda Hulin offers pizza party tips, diet-breakingworthy recipes, pizzas to make with kids - as well as vegetarian and chocolate pizzas that are to die for.